The search for a sustainable and renewable plastic production route has sparked a great interest in the the scientific community on biodegradable polymers such as polyhydroxyalkanoates (PHAs). In view of the importance of this bio-based polymer to the society, AEP has organized a talk on the strategies of producing PHAs from microbial fermentation. 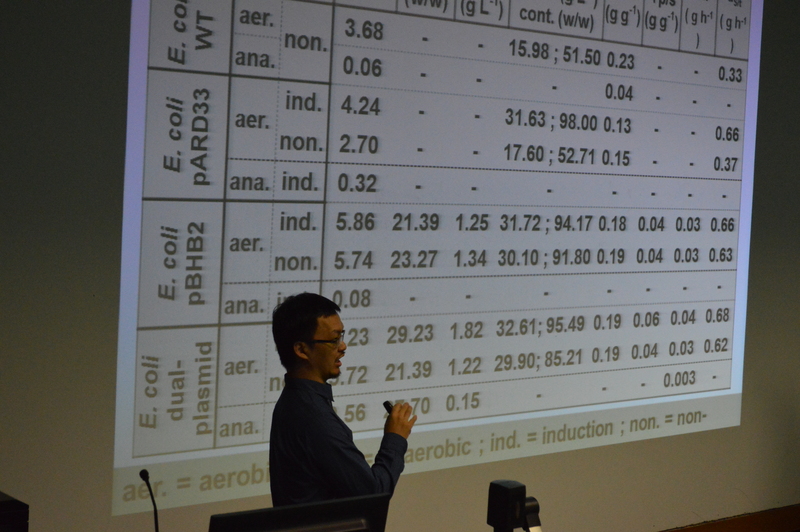 The invited speaker, Associate Professor John Chi-Wei Lan, has been working in this field over the last 7 years and has developed different fermentation strategies on improving the yield of PHAs produced by microorganisms. In his talk, he shared the knowledge in this field through the showcase of two major approaches used by his group to synthesize PHAs polymer, namely the in-vivo and the in-vitro approaches. Moreover, he has presented some novel approaches to integrate the up-and down-stream processing of PHA, which potentially create a new avenue to the low-cost production of bio-polymers in future.